The fans that move air through modern HVAC systems are noise generators. The ductwork carrying conditioned air to occupied spaces throughout the building can often act similar to the old fashion speaking tubes that can conduct intrusive and annoying fan noise to occupied spaces. This can often result in annoying or intolerable noise levels in offices, conference rooms, classrooms and auditoriums, etc. One solution is place one or more duct silencers between the fan and the occupied spaces. While reducing objectionable fan noise, duct silencers can also reduce cross-talk transmitted from one space to another through the ducts to insure office privacy. 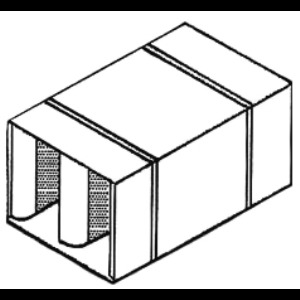 Silent-Mod duct silencers are available in a wide assortment of geometries, models, and lengths. This is to accommodate duct shape, pressure drop vs. airflow and noise reduction. 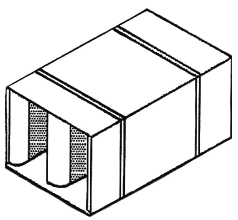 Silent-Mod silencer shells are fabricated from 22-18 gauge galvanized steel for superior strength and maximum sound transmission reduction through side walls. No flimsy 26 or 24 gauge material that vibrates in the airstream. Let our engineering department help you with your silencers needs.